Practice gratitude until it becomes a natural state of being. If you don’t have anything to be thankful for, remember, your life could always be worse. Start counting your blessings and find things to be thankful for. 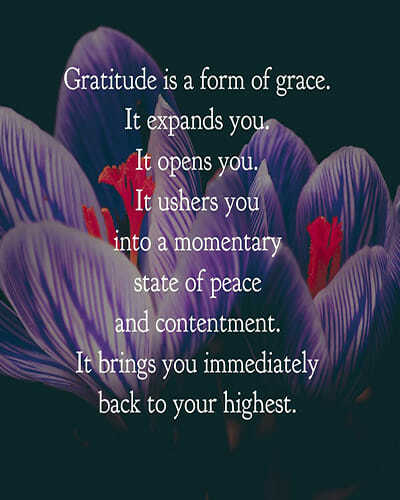 Gratitude is a form of grace. It opens and expands you and gives you the feelings of peace, harmony and contentment, as you practice it. It brings you back to your highest and best.